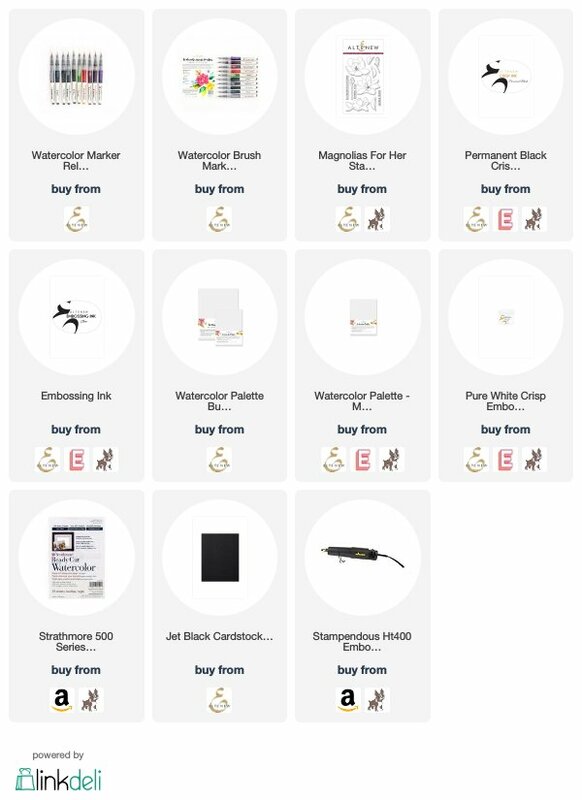 Altenew just released a watercolor marker set! Spring Garden set includes 10 colors that coordinate with their existing ink colors and so much fun to play with. So I created a below card to share with you today. If you have been following me for a long time, you already know that I am a huge fan of blue shades and this stamp set. So this was a perfect excuse for me to try out the new product with my favorite color choices and images! 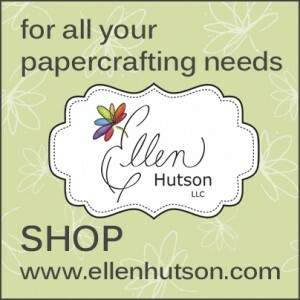 A simple watercolor paper was cut to be a panel for this card. I used one of my go-to watercolor papers that have wonderful textures. The images were stamped using a watercolor friendly ink and I used the Sea Glass and Dusk watercolor markers to color in the images. You can always add more water when coloring in the images if you are wanting a softer result. And watercolor tends to dry lighter anyways usually, so keep that in mind when coloring. I worked with very little water when coloring these images to keep the colors bold and strong. Watercolor palettes are wonderful tools to mix two different colors together and get nicely blended looks. You lay down darker shade color on the palette and pick it up with the light watercolor marker. Since they are made with synthetic brushes with real bristles, blending the colors together won’t ruin their tips or contaminate the markers. 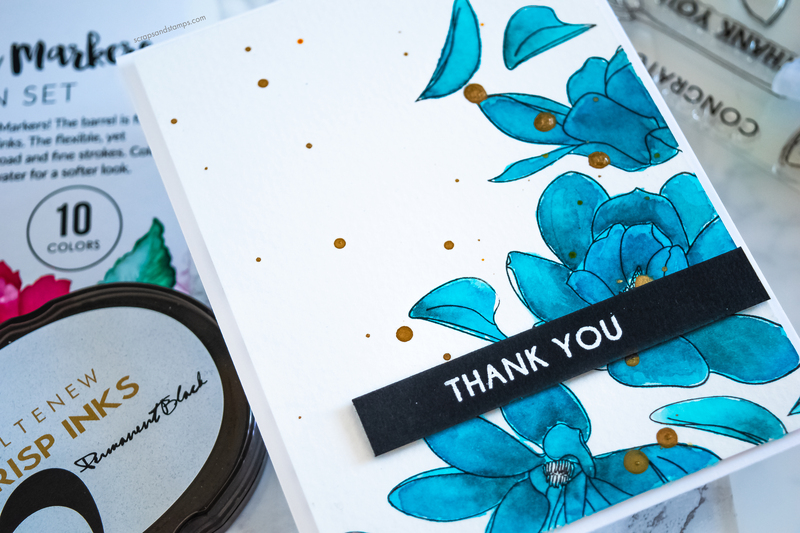 To finish off the card, I used some gold spray splatters to go on top of the colored layer and heat embossed the sentiment with some white embossing power on a black cardstock. The whole card panel was added on top of the card base. Hope you enjoyed today’s project I’ve made to share! What color is your favorite from this set? Share your picks in the comment section below! 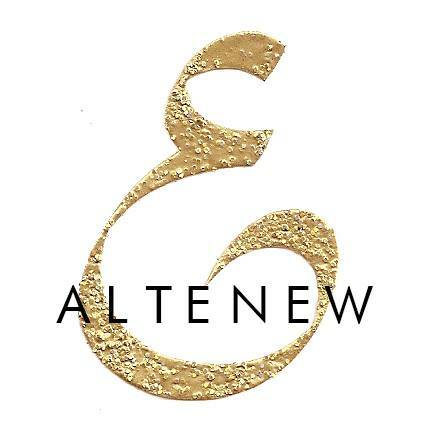 I am giving away $20 gift certificate to Altenew store! Please leave me a comment below by October 8th, 11:59pm PST. I will post a winner here on the 9th. Good luck!! I am participating in a fun blog hop to celebrate today’s release! Next stop on the hop is Lisa Spangler! Make sure to stop by and leave some love for her! Please see below for full blog hop list. Magnolias for her is my favorite set and I always imagined it in pinks,purples and reds.I loved to see them painted in blues..beautiful card ! I love your blue magnolias… How fun would it be to have a tree covered in bold blue flowers? Love this vibrant blue magnolias! I love the blue that you used but my favorite color has to be the midnight violet. beautiful card! love the rich colors. Beautiful card and the color is fantastic! Beautiful card—unique blue Magnolia blissoms. bold & vibrant. This is lovely. Beautiful card. It is so vibrant. 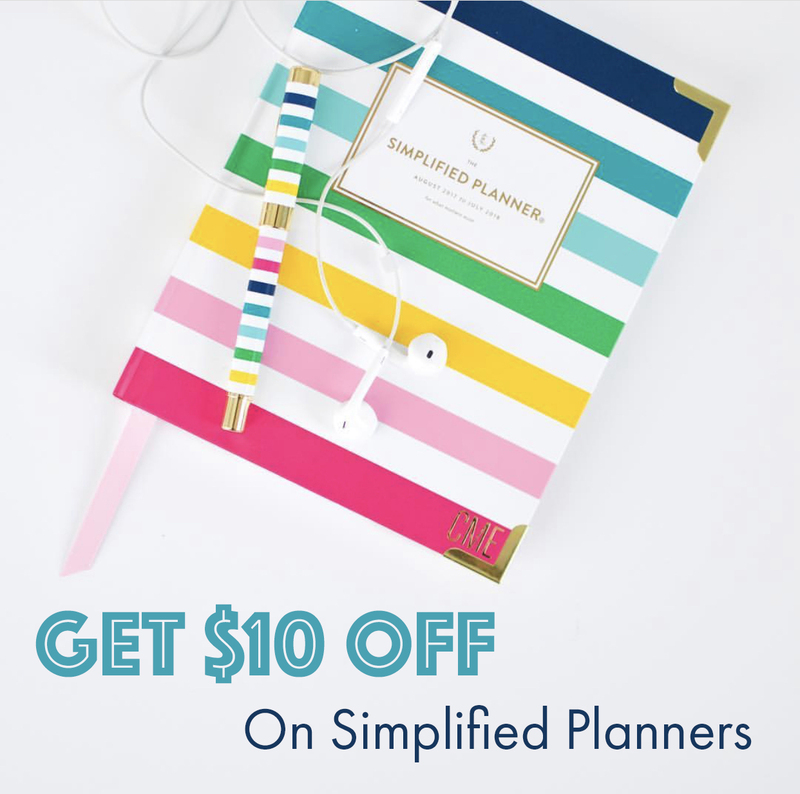 Your card is simply lovely! The blue is so vivid! I love how you colored the flowers! Your card made me gasp! It’s so beautiful and lovely. Your card is gorgeous! I love the color you chose for your flowers! The vibrancy of these watercolors is great! Thanks for the great inspiration! Nicole, your card is stunning! I cannot imagine anyone not being thrilled to receive this gorgeous Thank you card.. I think these new watercolor markers are just beautiful also. Seems to me that they are highly pigmented…and can be either bold or soft….that is nice….I love watercolors…thank you so much for sharing your work. I love your card! The blue colors are very pretty. I have this set and would love to try watercolor with it… these markers are so vivid .. perfect for these flowers! What a Spectacular and Tremendously Terrific project! Beautiful, beautiful card! I love blues too! So beautiful! I love the vibrancy of the colors. As always- your work is fabulous! I must have these markers! Wow, these blue magnolias are so gorgeous! Love the gold splatter too. Wow that color is stunning. 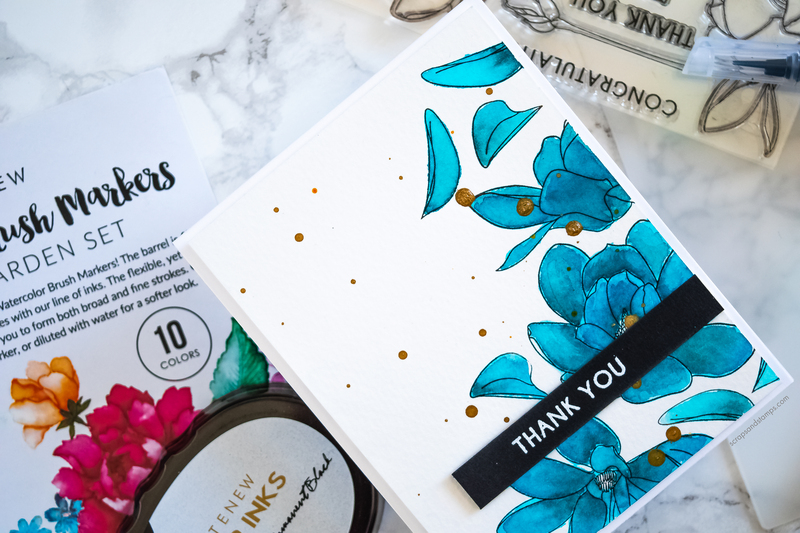 Love this card and the bold coloring you achieved with these markers. Nicole, your blue card is gorgeous and I think my favorite colors are moss, autumn blaze and dusk. Such a beautiful card. Love the vibrant colors. Beautiful color and love the black sentiment against the blue! Wonderful card and such rich color! Can’t wait to see how they match the watercolor paints! 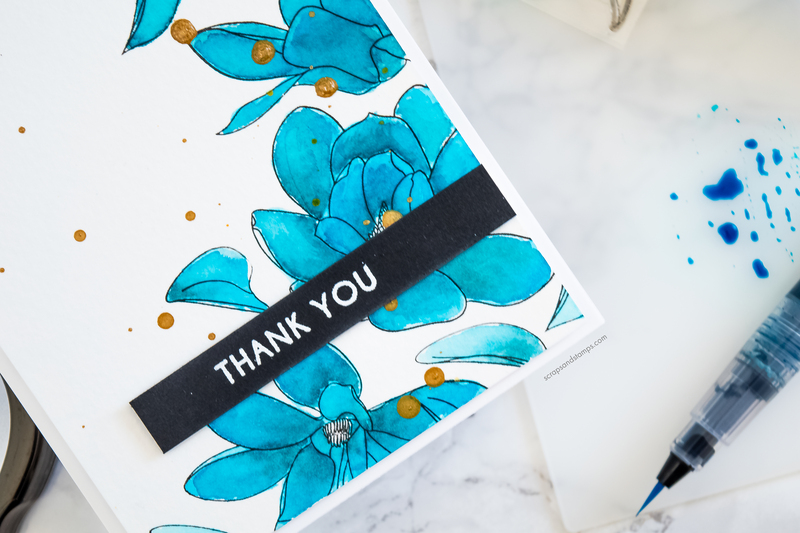 Love the bold blue color – the card is striking…. WOW! I love your card and that color of blue is gorgeous. You are so talented! I love the blues! Lovely card. I love the color you chose for your flower. Thanks for sharing. I like the monochromatic card. Love the gorgeous shades of blue. They look like jewels. These markers are fabulous! Oh my goodness… I would LOVE to give these a try since watercoloring is my favorite medium and actually the only coloring method I feel comfortable to use! Thanks for the inspiration Nicole! Gorgeous card, loving your blend of the blues & if you have given them your blue approval then they must be very good indeed lol. 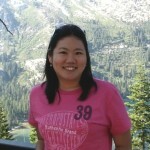 Thank you for your advice & sharing your work. These new watercolor brushes are really wow. Love the colors and everyone’s creativity. Your card is very beautiful. I love the blending of the blues. My favorite color of the set is Sea Breeze. Seaglass & Dusk – oh, I’m in colour heaven! What a beautiful combination & a stunning card. These markers look fab. 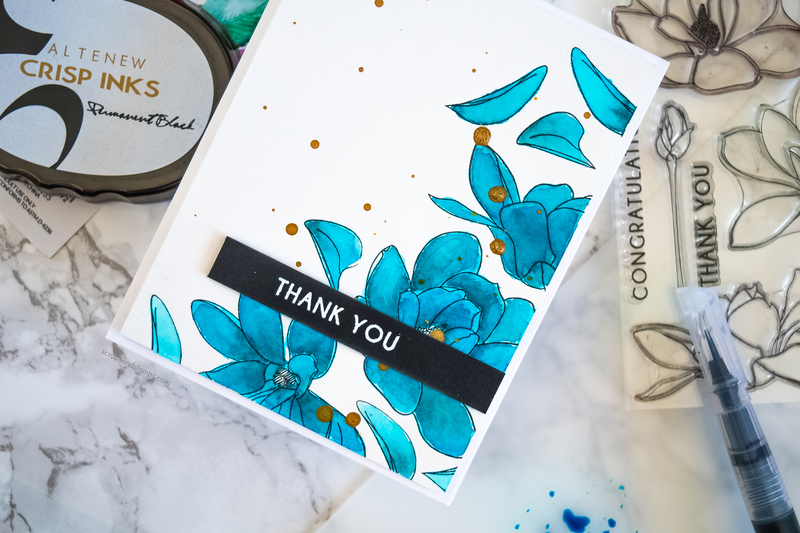 Love your monochromatic floral image card…never would have thought that Sea & Dusk would make pretty flowers! Looking forward to trying tgese new watercolor brushes. Love the gold specks on this card! 🙂 They add such a cool effect. The blues are amazing and I also love the stamp. These are such vibrant colors. Love this set. I love the way you colored the flowers. Beautiful card. Wow! Stunning! Your coloring gave some beautiful dimension to these flowers. The gold splatters really compliment the vibrant flowers perfectly! I love the color you chose and also the feeling of movement in your card. This is lovely! The blue flowers are very pretty. I love the blues on your card Nicole. Until now my favorite color from this set was the violet but I’m being swayed to the blue side! All of the colors are rich and vibrant and beautifully color any of the Altenew florals. Thanks for sharing. Love, love, love the vibrant blue florals. Thanks for sharing your creativity! I loved the way you used the Sea Glass and Dusk watercolor markers to color your vibrant flowers! Sea Glass is my second favorite of the colors — Emerald is my favorite color in this wonderfully vibrant watercolor brush set! I hope to get those markers in the very near future! Thanks for sharing your talent! Clean and simple, my favorite cards! beautifully done! Sea Breeze as I can see it blending with the other blues to make some fab colours. Nice to see a monochromatic card and this is lovely. The card is beautiful! My Mom’s favorite color is blue! I love the Sea Glass too. Your card is just gorgeous. I love the blue flowers. I just love the blue magnolias! What a gorgeous card! Hi Nicole. Wow, these flowers look stunning. I love how deeply rich the brushes make them. Gorgeous work. Love the beautiful, vibrant color of your card. These watercolor brushes really give great color! Beautiful card! Love the colors (the gold especially adds a nice accent on the pretty blue). Thanks for sharing! Blue is my favorite color, so your vibrant flowers are right up my alley! Thank you for sharing your talent with us! Lovely card! Beautiful card! These blue magnolias are gorgeous! Thanks for the inspiration. I guess I must be new here, because somehow I have missed the Magnolias For Her stamp set! It’s gorgeous! And I will take flowers in blue any time and any place. Since blue’s my favorite, I’d probably have to pick Dusk or Sea Breeze as my favorite watercolor marker color. They make me happy to look at. Thanks for sharing your beautiful card with us! I love the blues you used on your pretty card but I think the Rubelite is my favorite color. These markers look like a lot of fun to use. Very pretty. I love the shades of blue too. Beautiful blue magnolias in watercolor! Fabulous card and blog hop! Very pretty card! 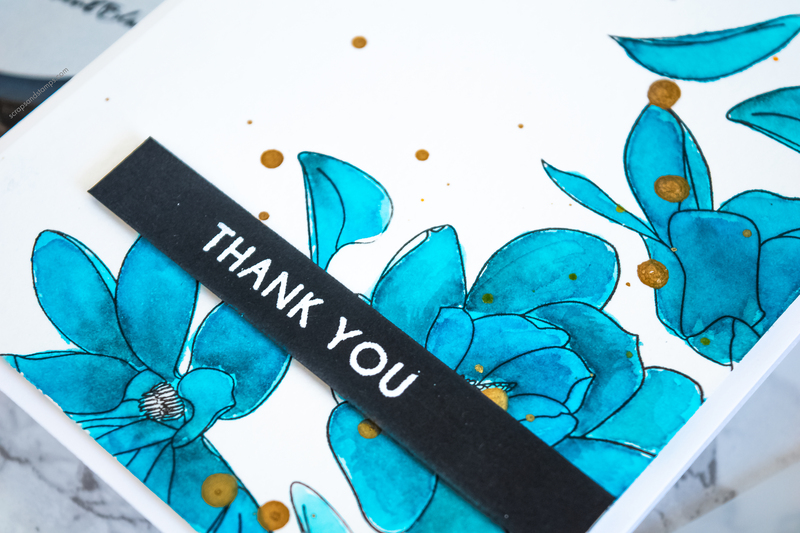 You watercolored the flowers beautifully and I love the gold splatters! Stunning background Nicole! Love the vibrancy of these watercolor markers! Thanks for the inspiration! Love the blue you chose for the magnolias! Beautiful! Beautiful card Nicole! Gorgeous composition and design. Love the looseness of the card. The petals floating around is great. 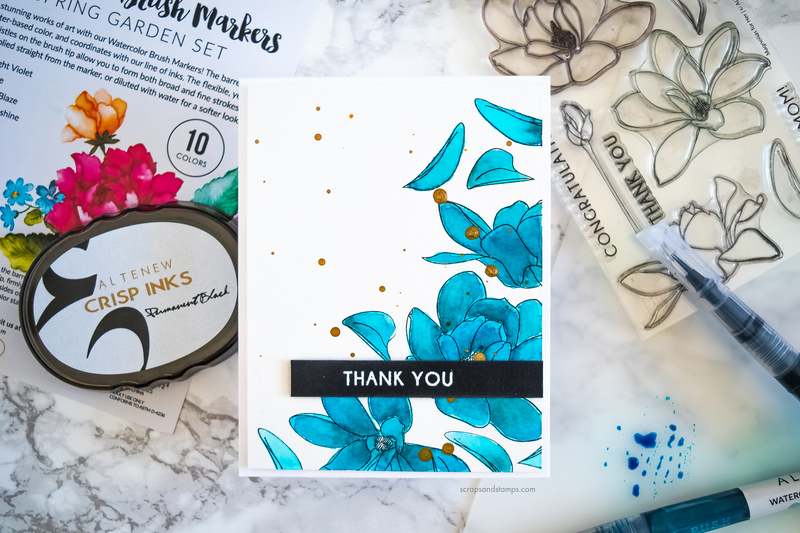 I love the beautiful, bright colors in this marker set — the blue you used is stunning. Gorgeous card. The card you have promoed is beautiful!!! I would like to know if you use any blending pens with your markers to get such a variation of color. The blues are so eye appealing! 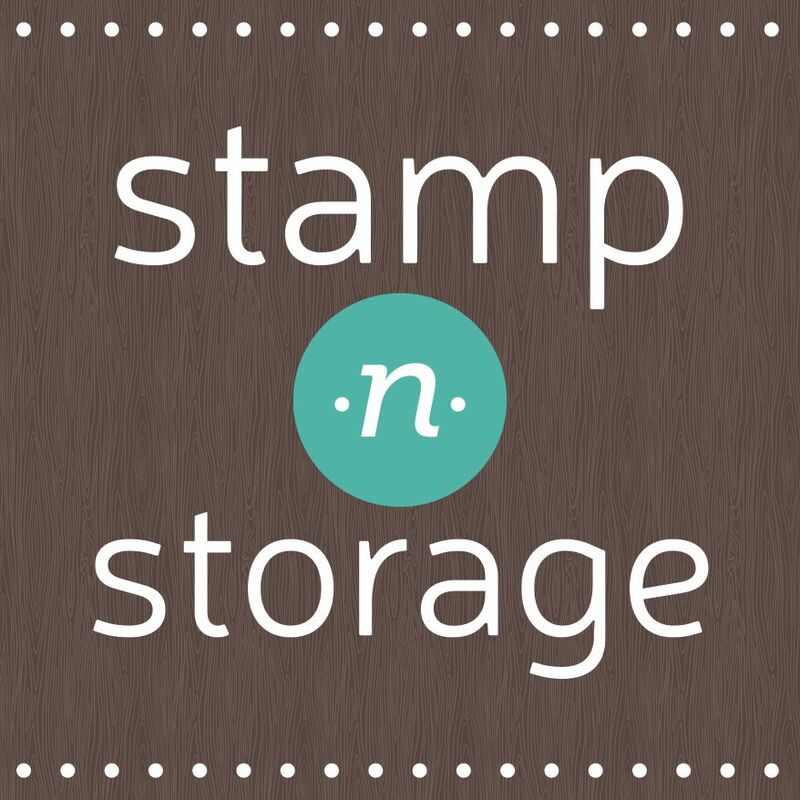 I have done watercolors before with pencils and a blending pen (stampin up) but have not accomplished that coloring!